The Dobell Prize is the most respected award for drawing in Australia. Initiated by the trustees of the Sir William Dobell Art Foundation, the prize was first awarded in 1993. The winner now receives $25,000. The Dobell Prize for Drawing has always been the subject of discussion and debate about the nature of drawing. What constitutes a drawing is however deliberately not outlined in the conditions of entry. That has been left for competing artists to define by their practice and for each individual judge, annually appointed by the trustees of the Sir William Dobell Art Foundation, to determine in the process of looking at all the entries. This flexible, open-minded approach has ensured that the greatest variety of drawings is submitted each year. 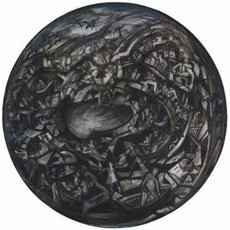 The winner of the 2009 Dobell Prize for Drawing was Pam Hallandal for her work Tsunami . Pam Hallandal Tsunami 2007-09 © the artist. Winner, Dobell Prize for Drawing 2009.